Camberley is a small town situated in West Surrey and offers an intriguing mix of accommodation, independent shops, and high street names. Nestled amidst the parks and heaths of Surrey, it is a beautiful area that is prime for brisk walks and hikes. 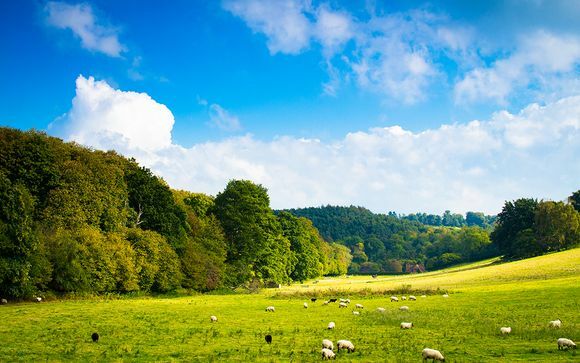 Surrey is an idyllic location to restore your sense of wellbeing, from picturesque villages with thatched roofs, to cosy warm pubs, to its lush green countryside. Fancy a long country walk with breath-taking views? The Surrey Hills stretch across the county from Farnham to Oxted, offering a gorgeous array of grasslands, heaths and woodlands to explore. The hills are designated as an Area of Outstanding Natural Beauty and it’s easy to see why; their most famous beauty spots include The Devil’s Punchbowl, a naturally formed amphitheatre, and Box Hill, a favourite picnic spot, with its commending views across the South Downs. Less well known are the Frensham Ponds, (or Surrey’s beach if you’re a local); these provide a welcome invitation to soak your tired feet! 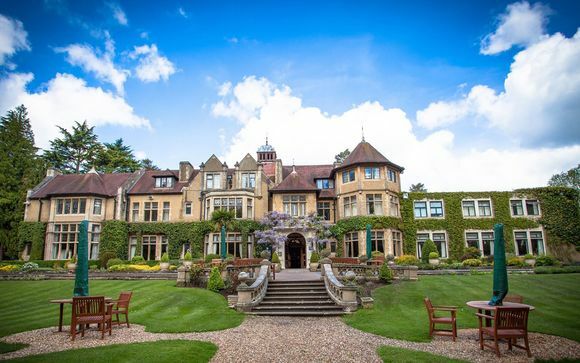 Easily accessible from London and Heathrow Airport, the Macdonald Frimley Hall Hotel & Spa is a picture perfect destination for your escape to the countryside! Set amongst peaceful private gardens, this hotel provides the ideal accommodation for an idyllic countryside hideaway. The hotel is conveniently located and easily accessed from major roads, yet is tucked away in a peaceful and natural surrounding. Rich in original features and history with simply beautiful bedrooms, this is a must-visit venue and one of the finest hotels in Surrey. The Macdonald Frimely Hall Hotel & Spa preserves the old and pays homage to its traditional Victorian origins, while embracing the new and offering innovative, contemporary amenities. After a brisk morning walk on the heath, return for an invigorating dip in the indoor pool or treat yourself at the Spa and Wellness Centre. Foodies will delight in the Frimley Hall's two AA Rosette-winning restaurant offering traditional British and European freshly prepared fine dining options and fresh, locally sourced ingredients. 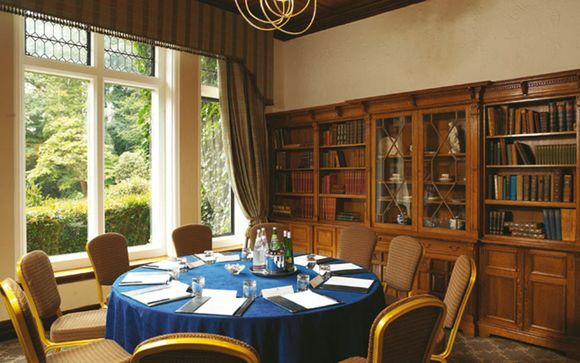 The Macdonald Frimley Hall Hotel & Spa is a charming and elegant countryside property and the ideal destination to discover this Area of Oustanding Natural Beauty. 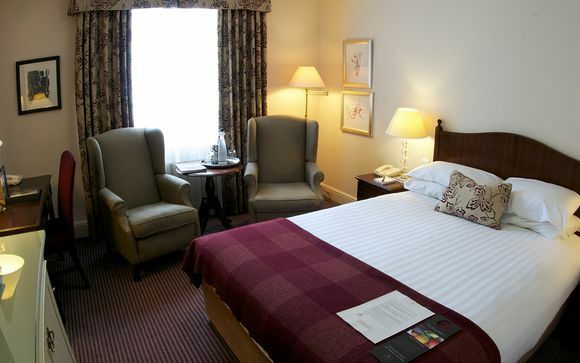 Your Standard Room offers a comfortable sleep in elegant surroundings. Beds are adorned with fluffy pillows and luxuriously thick duvets atop designer mattresses. Thick curtains keep out the light in the mornings to allow you a leisurely start to your day. Rooms come equipped with an en-suite bathroom, tea and coffee making facilities, a large flat screen TV, a desk area, and comfort cooling to provide you with a peaceful and tranquil stay. Dining at the Macdonald Frimley Hall is an experience in itself and one that is certainly not to be missed! Using the finest seasonal ingredients and sourcing the best produce available, the Macdonald Frimley is proud to present its Linden Restaurant, recently awarded with two AA Rosettes in recognition of its food and impeccable service. For a more casual experience, guests may visit the Sandhurst Lodge for a light snack or afternoon tea. Decorated in fresh and contemporary natural colours while retaining a traditional, welcoming feel, the air-conditioned, award-winning Linden Restaurant is a fine setting for any occasion. Bright by day and intimately candlelit by evening, specialities include pepper crusted venison loin, pan-fried wild seabass and vanilla crème brûlée. This elegant hotel restaurant is perfect for get-togethers, romantic occasions, or Sunday lunch for the whole family. Ideal for morning coffee, afternoon tea or a tasty bite during the day, the informal Gold Room Lounge at Macdonald Frimley Hall Hotel & Spa offers plenty of comfy sofas and fine views over surrounding gardens. Settle by the fire and relax with the weekend papers or meet with friends or colleagues for a pre-dinner drink. Order your favourite cocktail or draught beer from the Sandhurst Bar and take it through to the stylish Gold Room lounge. After a day exploring the beautiful surrounding area, return to the Frimley Hall for a relaxing and revitalising spa experience. The Frimley Hall offers a vast array of spa treatments for a host of occasions, from relaxing spa breaks to luxury hen weekends. 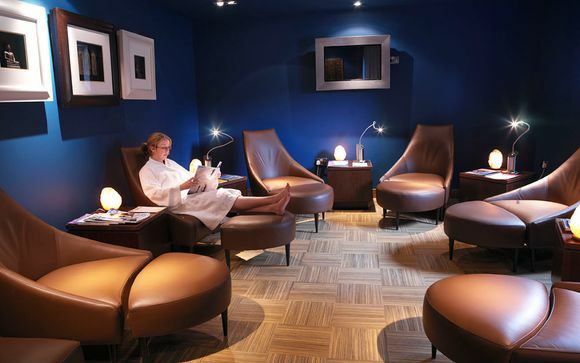 Visit the Spa at Frimley Hall for a harmonious and serene experience. Treatments must be pre-booked directly with the spa prior to arrival to avoid disappointment. Treatment times are subject to availability.